A friend of my told me to try this company out, and raved about the service, quality of glasses, and the transparent transaction. I agree with all!!!! I ordered these glasses and they are great. The price was great. The delivery time was great. I will be ording another pair from framesdirect soon. 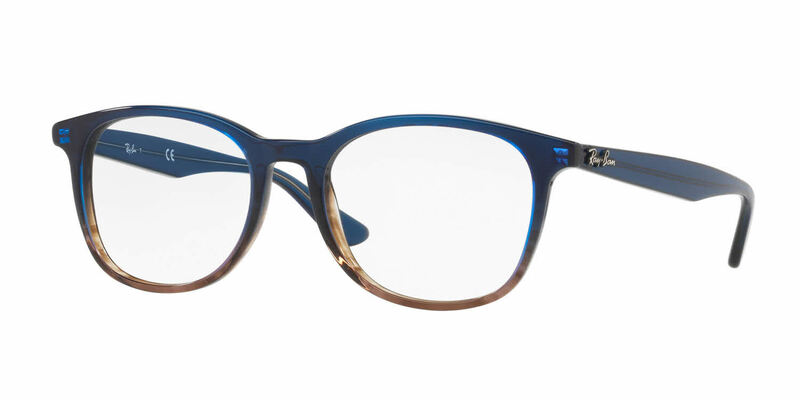 After originally purchasing a pair of Raybans with hi-index lenses from lens crafters for $520 I decided I had to find a better price for glasses somewhere. After hours of researching and price comparing online eye glass retailers I decided to take a chance on Frames Direct and my expectations were exceeded in so many ways. We'll start with the fact that I got the same exact pair of glasses at more than half the price. I didn't have my PD number, but the instructions were clear on how to give Frames Direct that info. When I got my glasses, I noticed that the lenses were even thinner than the ones I had purchased at lenscrafters. Lenscrafters originally told me that I couldn't get my lenses any thinner because of my prescription, which obviously was a lie. The lenses were literally sticking out of the frames on the inside because they were so thick, and I had paid for high-index. When I was looking through the glasses it looked as though every straight line was curved if I wasn't looking directly through the middle of the lens. So now I was stuck with a $520 pair of glasses that looked like coke bottles and my vision was completely distorted. I got my Frames Direct glasses in the mail about two months after I ordered them, which was okay because customer service kindly contacted me to let me know the frames I ordered were out of stock. They made sure that was OK with me before processing my order. I can see through them perfectly, the lenses fit snug in the frames with no overlap, and best of all they're the cute stylish frames I wanted at half the price. Will seriously never go back to any overpriced in-store lens place again. Just trust the process and buy your glasses from here! I ordered these online with little input from my son, for whom they were purchased. When they arrived the fit, color and style was spot on. The compliments continue from all that see them! Thank you for helping stay within our budget, without sacrificing style.